Today we’re really excited to launch the Moneyfarm Pension. After months of hard work across the business, we’re proud to be the first robo advisor in the UK to offer advice with a target date product. We hope the Moneyfarm Pension will empower individuals to make the right decisions with their wealth to ensure financial security in retirement through the benefit of easy transfers, simplicity and low-cost investment advice. The Moneyfarm Pension, which is available to both new and existing customers, provides consolidation of existing investments with a quick, easy and managed transfer process. 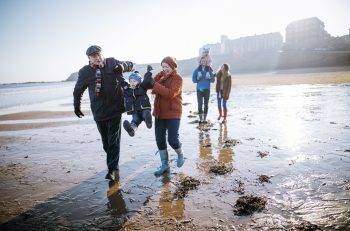 Consolidating your pensions into one place is a powerful tool to help you understand what you’ve already got in your pension pot and whether you need to put another plan in place to help you reach your retirement goals. With Moneyfarm research showing that a third of Brits feel totally unprepared for the future, nearly half of the population claim that everyday responsibilities are the biggest barrier to attaining their long-term goals. With the average Brit working 11 jobs in their career, it can be difficult keeping on top of your pension savings which can exacerbate this feeling of unpreparedness for the future. The world-class technology that sits behind the pension product allows us to bring a more personalised pension solution to those that have been locked out of the traditional wealth management space due to the numerous barriers to entry. The only digital wealth manager in the UK to offer advice with a target date product, this functionality allows customers to set a self-determined retirement date and as it approaches, the portfolio asset allocation will adjust to ensure suitability right up until investors want to draw from their pension. We’ll do this for you, leaving you to focus on the important things in life. CEO and Co-Founder of Moneyfarm, Giovanni Daprà says, “Investing in a personal pension ensures greater security for an individual or family’s future. By asking customers to set a date for their retirement, we can provide more personalised automated financial advice through our digital platform and encourage future planning and money mindfulness as part of everyday life. After getting to know about you and your financial background, Moneyfarm will match you to an investment portfolio that’s built and managed by our team of investment experts to reflect your investor profile, time horizon and retirement goals – just like our investment products. Technology helps us deliver a better quality of service to our investors at a lower cost, however we also rely on irreplaceable human expertise. Unlike other SIPPs, this human expertise comes as standard. Moneyfarm’s FCA-regulated experts build and manage investment portfolios to reflect a customer’s investor profile, and specialist investment consultants are always available to explain investment products and portfolio performance. Fees are also simple. Rather than an annual pension charge, fees come out at an account level and look at the total amount invested across all Moneyfarm portfolios. The pension can sit alongside an existing Moneyfarm Stocks and Shares ISA and General Investment Account (GIA) and can be managed from desktop or mobile. If you invest in a pension, ISA and GIA, you may be rewarded by paying less in management fees. “With over half of Britons kept awake at night thinking about future plans, pensions can often seem like a bit of a black hole, where you don’t really know what’s happening with your money until you hit retirement.” adds Giovanni. There are generous tax benefits to investing in the Moneyfarm Pension. You can claim tax relief relative to your income tax band. So if you want to put £10,000 in your pension and are a basic rate taxpayer, you’ll only need to put in £8,000, the government will pay the rest. You can claim back 40% if you’re a higher rate taxpayer, which means you’ll only need to put in £6,000 for a £10,000 contribution. To avoid a delay in customers receiving tax relief from HMRC, Moneyfarm takes on the up-front cost of basic rate income tax relief for all of its investors. As a result, investors can enjoy the added benefit of additional compound returns. If you’re a higher or additional rate taxpayer, you’ll need to fill in your tax return form to claim your further relief. Self-employed investors can contribute to their pension from their pre-tax income by setting up employer contributions for an increased long-term benefit. You can also take 25% of your pension pot tax-free when you get to the age of 55, but you’ll pay usual rates of income tax on the remainder. After pension freedoms, you have more choice over what you do with your savings and you’re no longer required to buy a guaranteed income stream in the form of an annuity. Unlike some pension products, flexi-access drawdown is a standard feature of the new pension product and will become automated soon after launch. This will provide investors with the freedom to manage their retirement income according to their needs. Income drawdown gives you a more flexible approach to your income during retirement. By keeping your savings invested in the market, you can dip into your money as you like. By keeping your pension invested, you’re hoping your money will continue to grow in value to help offset the impact of inflation – although it can fall in value too. There are different charges and you should always shop around to make sure you get the best deal for you and your family. Start investing for the future you today by setting up a Moneyfarm Pension. You can also book a call to speak to our of our qualified investment consultants about setting up your pension today. When can I retire if I was born in 1954?